When was the last time you thought of buying a rather sophisticated, reliable, spacious and mileage friendly hatch bag, if you are still wondering, thinking and scratching your head about what I am talking about, well look what I have in store for you in this post.. Yes, it’s my review on the ALL New HONDA Jazz. As we all know that HONDA cars are a mark of reliability, performance and style bundles up, they are pretty consistent in their approach and deliverable for many a decades now. Talking about the all new Honda JAZZ, it’s the 3rd Roll out model from its predecessor and as you will find out in my review that the car has amazed in performance, driving comfort and other features which surely will make you fall in love with the car. Complementing the ripper exterior look is a more sophisticated interior of the all NEW JAZZ, when you sit in the car you can feel a vibe of luxury and why not if we talk about the features in the interiors, we are talking about a sporty steering wheel with one of a kind audio mount within the steering along with hands-free controls for phone embedded in the steering. It also has a touch panel for all the ac controls and a 5″ integrated audio connectivity screen for controlling all those music files from your ipod or any other music players/phone, apart from that navigations is inbuilt and other settings like FM/AM to choose from. To complete the interior feel, how can we not talk about the lavishly spacious Jazz from within, the leg space is sufficient for a comfortable long ride. 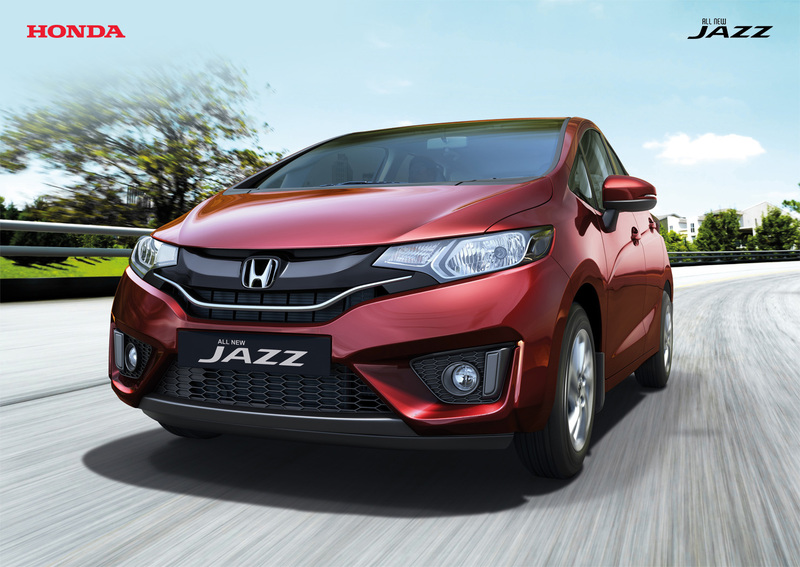 Talking about spacious, there is one thing which is full of space and that is the luggage area at the back of the car which is a whopping 324 liters, so the next time you are planning for a long road trip or picnic, don’t worry the Jazz has sufficient space. 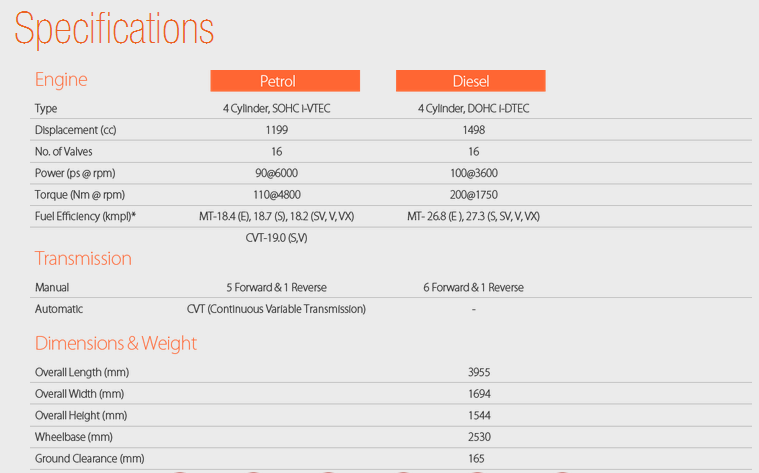 2) The 1.2L i-VTEC petrol engine which provides a balance of 90 ps and a milage of 18.7 Kmpl in manual mode, it’s also available in Auto transmission for petrol variant. Though by now all the features and utility must have impressed you quite a fair bit, but are we safe in the car for that drive, which is a major research area and recent cause of road mishaps show that if the car doesn’t have sufficient safety measure, no one can evade a lethal catastrophe to which Honda ensures that every aspect of safety measures are covered and not compromising on safety and consider a priority. Overall, the all new Honda Jazz drives smooth without any hiccups on bumpy Mumbai roads and gives is pleasant driving experience with all the lavish gizmo’s, a powerful and performance oriented engine which satisfies the need for power, stability and stays light on the pocket with its fuel efficiency. Indiblogger meets are always a fun experience and this time around it was time for the Tata Nano GenX event at Tata Lake house – Pune, bloggers for Pune, Mumbai and other states were selected to have a hands on experience of the new Tata Nano GenX AMT with a day full of activities and action guaranteed. Luckily I was amongst the 24 others who were selected! I was excited and jubilant to say the least. The event was on a sunny Sunday, bloggers assembled at common junctions where bus was going to halt and we started off the journey towards reaching Tata Lake house at around 10.30am, we had a fun time introducing ourselves, chatting with our fellow bloggers, taking selfies sharing and exchanging happiness on social circles, live feeding and keeping in loop of the event with everyone! Time passed by like wind and we reached the destination, it was a warm reception reaching Pune as Indiblogger team members Anoop and Vineet welcomed us followed by paparazzi clicking and filming us, the celeb feeling was blooming from inside :), we had breakfast at the ever so serene Tata lake house after reaching! Colour coordinated interior themes with 2 fresh colour introduced named SANGRIA RED and PERSIAN ROSE and more colour range then before. Sports mode for peppier performance that means if you are hitting an open road or a highway you can activate the sports mode and get a better feel of power compared to the automatic mode! Shift assist manual mode: If you choose this mode you get to choose to manually change the gears as per the traffic and road conditions, which I feel is a pretty neat effort by Tata design team to club both auto and manual mode in a hatchback entry level CAR! Creep for heavy traffic maneuverability and parking easy: In this mode the car is on 1st gear or on a set RPM and when there is bumper to bumper traffic all you need to do is just release the brake a little and the car moves automatically, this is a convenient feature considering the Indian traffic issue and perfect considering the EPIC Mumbai traffic. Most Spacious car in its segment! Distance to empty: Now this feature comes very handy specially when you sometimes forget to refuel and all of a sudden you are stuck up in the middle of nowhere! Quite thoughtful of Tata team. Gear shift indicator: well that’s an add-on to all the perky bounty in this segment! 1) A roughly 50kms drive one way drive across Chinchwad and Hinjewadi stretch, we were suppose to reach TCS as a touch point and return from there! 3) During the drive we had to perform tasks, answers questions and what not, people could request us to perform a task through twitter with the hashtag #followthegenX , @tatanano_tweets and @indibloggers, it was upon us (as in our team) to decide if we shall execute a particular task or not, sounds interesting isn’t it ! This said it was time to make teams! We had 8 cars and 32 people along with us, 24 bloggers and others from team Tata! We had pack full of drivers with valid license around 10 from the 24 bloggers, I was one in them!! Some cars had 3 blogger, some had 4 bloggers, we guys paired up accordingly and were all geared up to go and experience the Tata Nano GenX ! But before that to happen some instructions were explained to us in regarding to the challenges, the how-to’s of checking the challenges, accepting them, posting them and all! Let me quickly round up the challenges we accepted! Taking a group selfie inside the car along with driver while the car was on the move! Applying eye liner while the car was moving (Apoorva did well) so did the shock absorbers of Tata Nano Genx! Taking the drivers picture from the front mirror in the car. Buying a souvenir which depicts Tata Nano Genx (we bought an Indian flag)) truly custom made 4 wheel for every Indian that suits our taste! Call using the Bluetooth and connecting with the amphistream music system! Taking a picture depicting enjoyment, popping the head out, feeling the wind while the car was on the move, this was well executed by Apoorva! Tearing a cigarette into 2 and placing towards the car silencer, a message to not smoke and drive! Romance with the car bending down facing the cars headlamp and capturing that moment! Stop under a tree shade; click a snap with the Nano and your team in it! It is spacious in its segment! Feel of the steering is pretty solid. For a speed junkie like me, a manual transmission option is just the perfect blend when it comes to playing with the cars power, and just not that the shifting pattern is just a simple up and down which is easy and a first in its segment ! It was terribly hot in Pune and the a/c worked amazingly, it cools within few seconds and provides consistent performance. 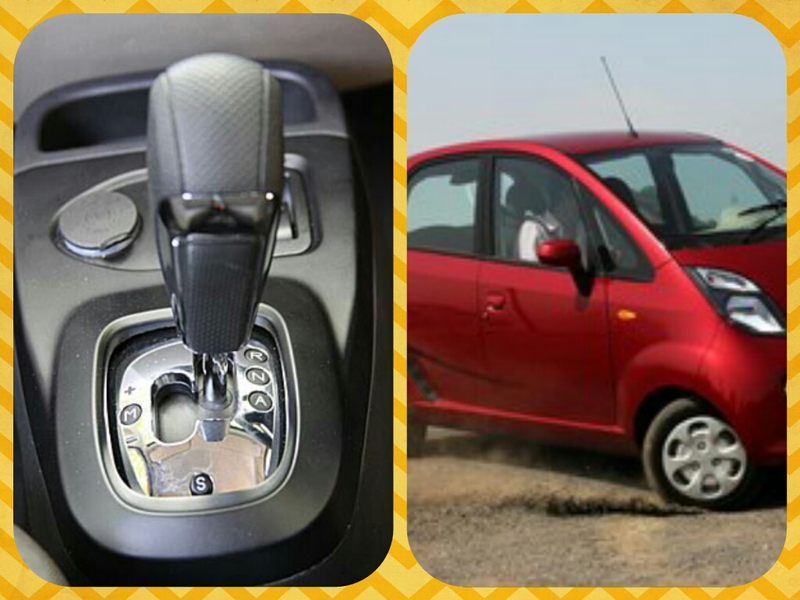 Leg space at the driver’s seat and also at the back is spacious and doesn’t cramp the legs, giving a comfort drive. 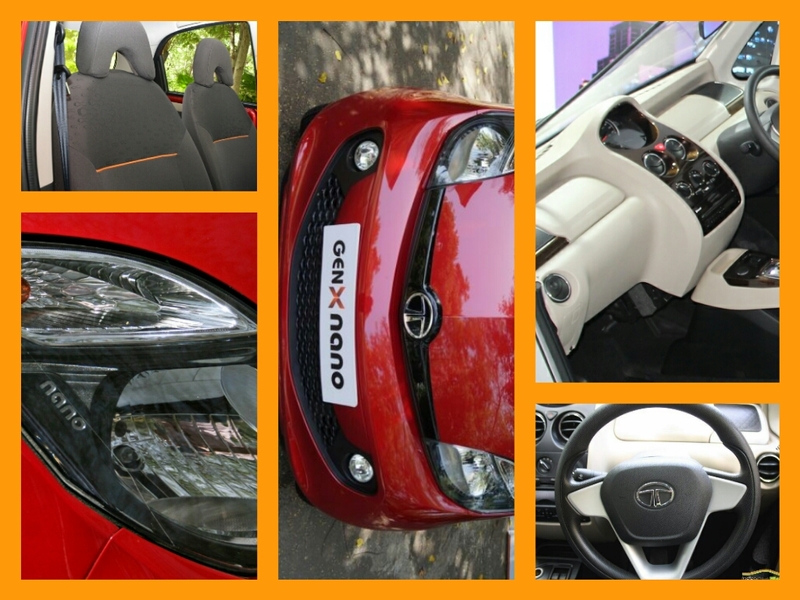 Overall, the car feels comfortable, very easy while steering, good turning radius, nice power, some apt transmission feature, both in automatic and manual, a sporty and youthful color combination with the infinity logo embedded finishes the car look so well and above all doesn’t feel like a entry level car by any means! Credit must be given to the Tata Motors team (concept, design, and engineering) for accomplishing something quite credible!